Good morning the flock of Jesus Christ! Mwana wemuporofita ita Aaamen anobhowa satan nemadhimoni ake! As your loved ones could be just a ‘text’ or call away so is your testimony that is just an ‘OUT’ away. When demons are being cast out there is a common element in the demon’s behaviour (am sure you must have noticed it too), when I say, “OUT!” they first brag about their strength – “I am not going anywhere, you are joking, s/he is mine, this is my place ever since! Handiende, urikutamba iwe, ndewangu, munhu wangu kubva ari mudiki!” When I keep on saying, “OUT IN JESUS NAME!”, the demon begs not to be cast away. “Please do not cast me away! 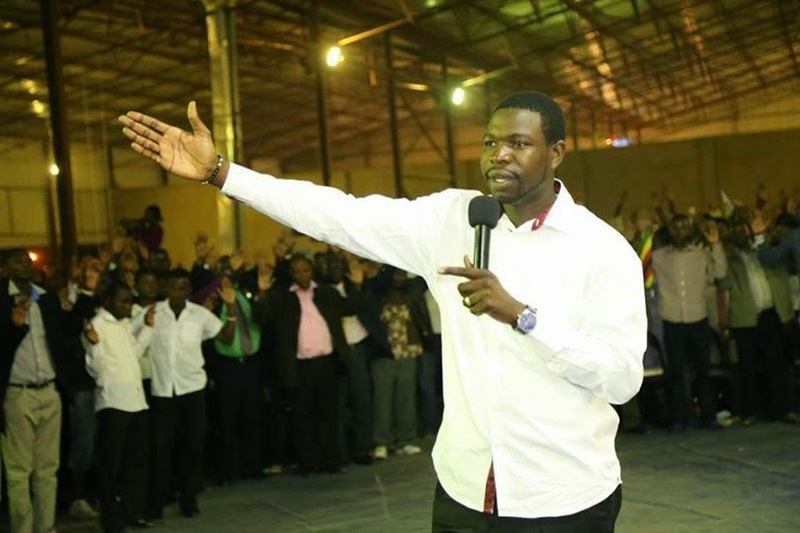 – ndapota musandibudisa!” When the situation gets too hot by the fire of the Holy Ghost, the demon begs again, “Where do you want me to go? Tell me where I should go! – Munoda kuti ndiende kupi?” Ndiudzei kwekuenda!” Command it to go to the mountains, dry rivers, plains and valleys. Soon after, the demon begs to be let go, “please let me go, please!” Nditenderei ndiende zvangu, please ndapota!” When you command it, “OUT!” OUT!” “OUT!” Finally, it says, “I am going!” and it goes away. Remember that all problems come from the devil and his demons. All problems come from the dark kingdom through evil spirits. Be it spirit of lust, poverty, sickness, limitation, delay, barrenness, spiritual wife/husband or bad luck, they all come from the devil. From the above paragraphs, you can tell that demons are like robots, they follow instructions. They want to be told to go because they cannot go on their own. Some demons are provoked by the mere presence of any man of God without even saying anything to them but many still want to be commanded OUT. WHY? Demons are spirits that operate through instructions – MOVE! TURN! GET IN! GET OUT! RUN! BOW DOWN! JUMP! When an evil spirit enters the body of a living person, it only does so at the instruction of the devil. It was commanded, “GET INTO HIM/HER RIGHT NOW! STAY INSIDE OF HIM/HER! YOU POVERTY SPIRIT GET INTO HIM! MAKE HIM POOR! YOU SPIRIT OF LUST, GET INTO HER/HIM! YOU SPIRIT OF CANCER, GET INTO HIM/HER! YOU SPIRIT OF BARRENNES, GET INTO HER AND STAY INSIDE! RIGHT NOW! RIGHT NOW! RIGHT NOW!” These are the kinds of prayers being conducted by the devil and his agents in the dark kingdom upon our lives. Then the spirit obeys the instructions and operate in one’s life. Therefore, in order to counter those instructions, we have to pray in the reverse by commanding the spirit, “OUT!” with authority in Jesus name. It followed instructions to get in, therefore it is waiting for the next instruction. You have to command every spirit OUT by its name in Jesus name – Raira mweya wetsvina BUDA nezita raJesu. By being a believer and baptised in the name of Jesus Christ, we were given authority to command demons out. The Holy Bible in Hosea.4:6 says, “My people are destroyed for lack of knowledge.” Even many teachers of the word of God have not taught enough of this open secret. Understand this, no matter how many times you fast per week or month as long you do not command the spirit behind your problem, you will be frustrated by lack of results. No matter how many times you go to the highest mountain and spend days there praying, as long you do not command the poverty spirit OUT you are wasting time, else you come back with mountain spirits instead of breakthrough. No matter how many hours you lock yourself inside a room praying to God about your problem, as long you do not instruct the spirit out, forget about a testimony. Command the spirit OUT by name, you sickness spirit OUT, you barrenness spirit OUT, you cancer spirit OUT, you delay spirit OUT, you spiritual wife/husband OUT, you limitation spirit OUT! It means, no matter how many times you pray per day, no matter how many long hours you pray, no matter how deep you push your knees down in prayer BUT as long you do not COMMAND the spirit out you are doing that in vain, you are wasting time and you could be making noise to the neighbours and environment. Ibva wadzidza. Nyangwe ukachema zverudzii, ukagwadama nemagokora nemabvi but ukasaraira mweya wacho kuti ubude, urikupedza nguva, urikungochemawo zvako. To cast out demons you must have authority through faith in the name of Jesus. As believers, we have been given authority in Jesus' name to drive out demons. We access our authority through faith and exercise our authority with a spoken command directed at the unclean spirit. As Paul clearly demonstrates in Acts 16:18, "Paul, being grieved, turned and said to the spirit, I command thee in the name of Jesus Christ to come out of her. And he came out the same hour." How does all this apply to us today? Mark 16:17 tells us, "These signs shall follow them that believe; In my name shall they cast out demons." This verse is the cornerstone of PHD Ministries today we cast out demons in the name of Jesus. There you are brethren, the spirit tormenting you only requires one FIRM word from you – “OUT!” Your testimony is just one command away. You know the problem in your life. Is it marriage, sickness, barrenness, delay, poverty, limitation? It is caused by spirits, therefore command it OUT by name in Jesus name. Learn from this teaching you disciple of Jesus. Ibva wadzidza mudzidzi waJesu mwana wemuporofita. Command the evil spirit OUT by ITS NAME right now! “You evil spirit – OUT right now! You spirit of sickness – OUT! You barren spirit – OUT! You anti-marriage spirit – OUT! You poverty spirit – OUT! You limitation spirit – OUT! You delay spirit – OUT! Anything not of Jesus Christ– OUT in the name of Jesus! Every opposing spirit – OUT right now in the name of Jesus! Thank you my Jesus! Abbah! Father! My source, my provider! Yadah! I am an extraordinary woman – a woman and a half - woman of valour! I am an extraordinary man – a man and a half - a man of substance! My life is turning over during this month of Turn around! Let there be light - the light that pushes away darkness.